We love this video from Best Friends showing how to make simple and fun pet toys. Give them a try, and let us know if you do too! We’d love to see your pets having fun. Posted in cats, cute video, DIY for pets, dogs	| Comments Off on DIY pet toys for dogs and cats. Felt Dogs is an adorable craft book that teaches you how to make little dogs from felt. The book is packed full of different breeds to delight any dog lover. The book teaches a technique called needle felting. There is a list of all the tools and supplies that you will need to make cute dogs. I also loved the step by step photos in the book, which makes it easy for beginners or experts to follow. And of course, the book is full of such darling photos it’s easy to forget that the book is about crafting. I’ve spent plenty of time just looking at the photos and dreaming about making the cute little dogs. Sadly I could not find any proper felt (at least not locally). I’m dying to try my hand at making a dog or two, so I’m not giving up. Since I can’t show you one that I have made just yet, be sure to have a look at this fun felt dog making night they had at Chronicle Books! Disclosure: I received a copy of Felt Dogs in exchange for my review. 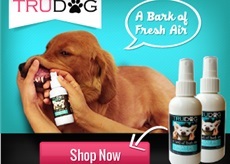 This is a FUN product, for you and your dog! The Clearview Dog Fence Solution is a window that you can easily install in your fence so your pooch can get a nice view of the world beyond the yard! This could be so fun for a dog (or even kids) to have! And yes, we have one to giveaway to a lucky reader. Since our fence is chain link, we haven’t had a chance to try the product personally, but it sure seems awesome! Thanks to Dog Fence DIY for providing the prize for this giveaway.